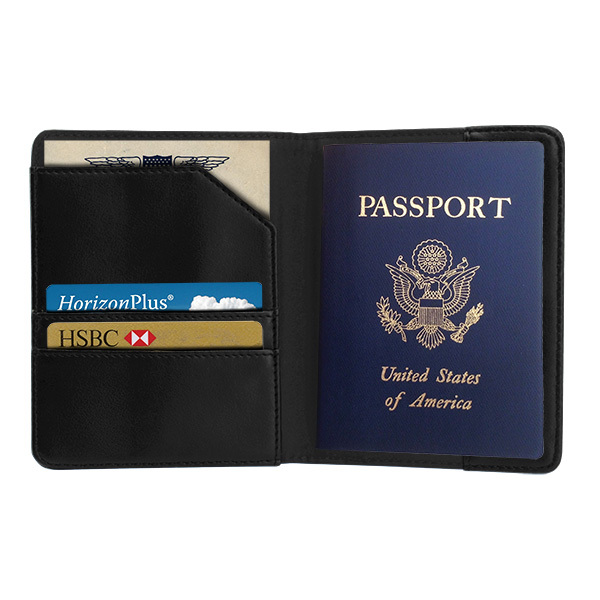 Introduce clients to your brand with this Frequent Flyer Passport Wallet! It’s made of Nappa leatherette, measures 4.25" x 5 3/8" x 3/8", comes in black, and is a great way to store your travel credentials for easy retrieval. This includes two credit card pockets and three file pockets as well. This is great for travelers! Use any of our multiple imprinting methods to add your logo and make a go for a successful campaign! Item Size 4 1/4" x 5 3/8" x 3/8"
Case Dimensions 14" x 18" x 6.25"